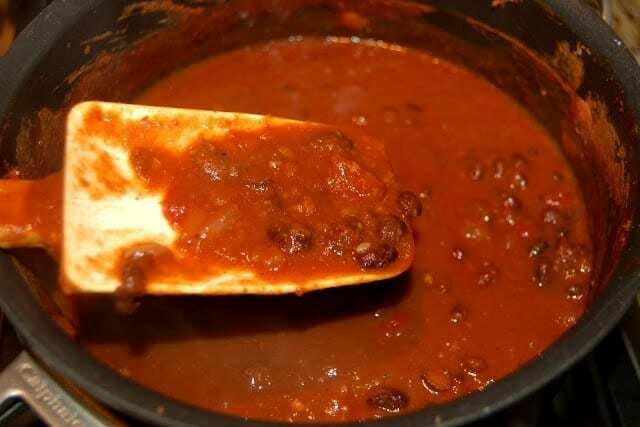 Carefully add tomatoes, tomato sauce, black and refried beans and reduce the heat to medium low. Add spices and stir to combine well. Cover and allow to simmer at least 20 minutes, stirring occasionally.